Cindy Shapton speaks, writes, designs and coaches when she is not working in her own garden with her canine helper Rosie. She will speak at the Gardening Partners of Dickson County monthly meeting Tuesday at 7 p.m. at the Tennessee Technology Center at Dickson. With more and more people wanting to grow organic food and medicine in their backyards, knowledge of herbs is essential. From companion planting to compost tea to feeding chickens to seasoning dinner to insect bite relief, herbs are a gardener’s best friend. These amazing plants are at home in flower beds, vegetable gardens, rooftops and containers, making it easy for everyone to be able to grow and use fresh herbs no matter where you call home. Known as The Cracked Pot Gardener; the title of a column Cindy wrote for the Williamson Herald. 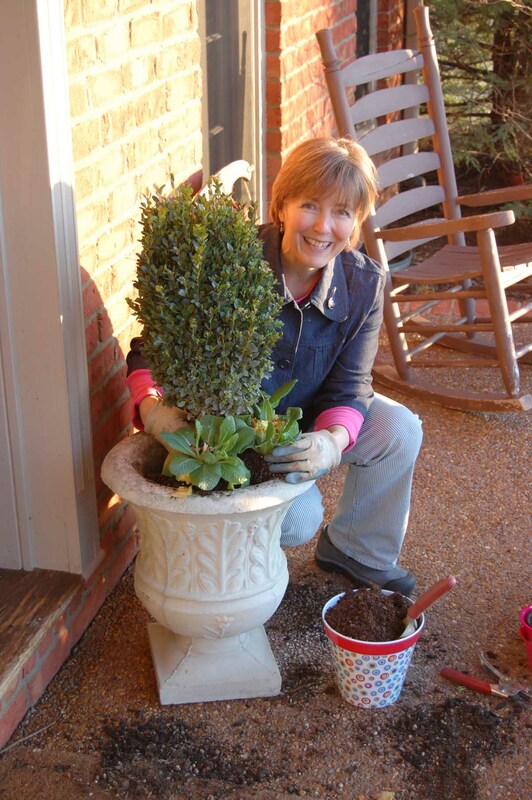 Cindy writes articles for many magazines and is a regular contributor for State-by-State Gardening and The Tennessee Gardener as well as a contributing garden expert to Tractor Supply Company’s ‘Know How Central’. She is the former owner of Hyssop Hill Herb Farm and Coyote Herb Ranch both in Franklin, TN. Cindy is past president of the Williamson County Master Gardeners and founder of the Bloom n’ Garden Show. “Like” her Facebook Page – ‘The Cracked Pot Gardener’ to keep up with all the latest dirt.